SCPA celebrates 40 years of arts education. 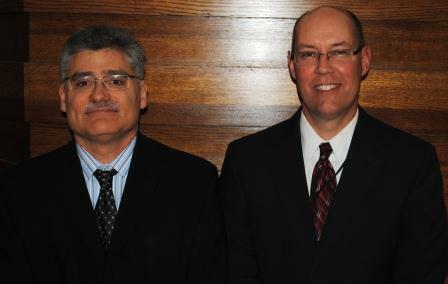 Dr. Isadore Rudnick and Steven Brokamp from SCPA. Jeff Seibert, the grants officer for Cincinnati’s Mayerson Family Foundation, joins our Frank Johnson to talk about their Artistic Excellence Program which includes an artist-in-residence and a master class component, exposing students at the School for Creative and Performing Arts to some of today’s finest artists and performers. 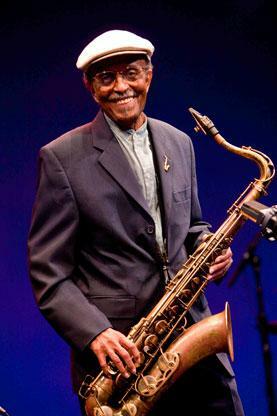 Acclaimed saxophonist Jimmy Heath recently conducted a master class which was captured on this YouTube video. Visionaries + Voices is one of this area’s unique arts organizations, dedicated to showcasing and developing works from artists with a variety of disabilities. New programs are also allowing the artists to teach their talents to children and adults. Krista Gregory, exhibitions director, and Samantha Charek, educational outreach director, join Jane Durrell to talk about the wide-range of programs and events organized by V+V. Cincinnati Conservatory of Music's Department of Dance marks a major milestone this spring as it celebrates its 50th anniversary. Dance graduates have performed with companies around the world. CCM Assistant Professor of Dance Michael Tevlin joins us to discuss the Dance program. Mr. Tevlin is also co-choreographer of CCM’s current production of “Giselle,” with performances tonight and tomorrow afternoon at Corbett Auditorium.